I have enjoyed tremendously all your teachings and classes you have put forth. I have surveyed so many out there, many without your experience and knowledge but charging twice as much. Thanks Don for the Option 101 class ....you have no idea how much it helps me to understand it... Thanks again. Soon I will learn more from Don and Tony...Glad I joined this family! I want to thank you for all your training support that you offer. Also, I have a very good feeling that I am getting the straight scoop on things and not more selling!!!! Sorry to say, I have spent way too much money on phony training and those wonder gadgets that will make me rich!!!! I really feel that I have found a friend in Theotrade. you many years. BUT - you just hit on “ P/L Day “ . Holy cow ! How have I been missing THIS ???? Thanks for last nights video on AAPL earnings. I set up the same in/out vertical and it looks like max profit tomorrow. Just wanted to send you a big thank you. Don, I just want to say thank you! Theotrade has been great!! I’ve learned a lot and really appreciate your 1 price model for everything. It’s refreshing!! Today was SPECTACULAR! Thank you SO MUCH for creating & running with Theotrade...I will be looking forward to Part II of Bonds, this Monday. I've renewed and glad to do it. Your site is delivering tremendous value and I really appreciate you for how you approach the markets and those of us trying to learn to trade profitably. I’m just working through the videos for Think or Swim on the Theo Trade website, and I just wanted to send you a big thanks for these. I have been a member of ToS for a few months, but I have been struggling with trying to figure out how to make the most of the platform. I have learned more from your videos in one afternoon, than I learned in months on my own. This material should be sent by ToS to all new users – it is way more informative than the stuff TD Ameritrade puts out! Mark: @DK, this is the best class on options/spreads I have ever taken in 15 years!!! Your statistical approach to strike selection, touch, prob of profit, rolls and when/how to take a loss are worth my whole years membership. Thanks. You are awesome, as usual. Thanks for your Saturday. Thanks Don. Another great session. Have a Happy Father's Day - everyone!!!! Just wanted to thank you for your early start and commentary in the chat room today. Before TheoTrade, I would watch the quotes during volatile days like today clueless about what was happening in the markets. Tuning into CNBC really didn't add any insight either. You provide a perspective that helps to make sense of the markets. I learned a great deal from you today. I believe one would be hard pressed to find trading education at this level outside of TheoTrade. Your suggestion to cancel stop orders and just sit on our hands and wait for better exits was great advice. I took it. Thanks again. I took Doc’s workshop today and really enjoyed it. I think Doc is a really good teacher, and I got a lot out of the class. I’ve been impressed with your company so far…particularly the straightforward way things are presented, and letting me know about your products without clobbering me over the head with slick marketing stuff. I respond much better to the way you guys are doing it. Outstanding service. I am really enjoying TheoTrade. I believe it is by far the best. I loved the RSI Unleashed class with Doc and have been using it in my trading. This is the first time I am seeing the value of the Analyze function. I avoided it and now I am going to study it this weekend. Absolutely love your classes, coaching, valuable teaching and I am your great fan. TheoTrade is the best trading training/supportive service I've ever encountered. This is the best teaching yet. Over the last year I have spent $1500 on books , classes trading videos and also have lost that much trying to follow a guy that keeps telling me I need to consistently trade the same stock over and over following his indicators but all of his classes is buying calls and puts. This kind of training, I have looked for the past year and an added bonus is learning how to use the think and swim platform. When I can recover some of my loses I want to become a lifetime member. However I did sign up for your 3 month. Thank you so much for sharing your knowledge at such a reasonable cost. I just want you to let Don know how much I appreciate him and what he does....for the first time ever my account is in the "green." Just a note to thank you and your staff for the wonderful job you do. Just finished Doc’s presentation and it was superb. I really feel that you have put together a group of outstanding traders and presenters that is without equal in the industry. I have tried many other “educators” and none of them hold a candle to your group. I really appreciate Don’s videos, classes, etc. I’ve learned a tremendous amount from him since his ToS days and find his approach to trading extremely well thought out with meticulous analysis. Love his knowledge of the Greeks! Theotrade topics and content are right on target. Really getting a lot out the Classes. My trading results are improving thanks to Theotrade. Keep up the great work Don. I´m very happy about the site, teachers, classes, etc. I like to continue with you more time to improve every day my trading. Thanks Don, I've spent a lot of money over the years for education. I've learned more about how markets work with your training, than I have in the previous ten years. My hats off to you and your crew for the value you bring! Don, I closed the TLT Risk Twist Spread (RTS) for 127% gain, price was moving around so much and so fast I ended up doing a "market" order. Pretty excited to see the whole RTS trade cycle and how well it worked. I watched all three “Essential Skills for Consistency in Trading” yesterday. Excellent videos! The tip in video #3 about the SPX Weeklys and volatility has really helped my growing insight of the markets. I’ve been watching your videos and love your content and teaching style. I’m finally understanding the ToS platform better. Very well done. You have to mention to Don that he has a fabulous team of moderators of course including him and support staff. I have yet to come across a room like Don's!!... At Theotrade, you give lots of good training and everyone is kind and helpful. Just wanted to say I am loving the Theotrade site and the work the guys do. Glad I came across it and thank you. For 35 years I had my own consulting business. Biggest client was 3M. I did a lot of work for them on customer service and technical support. Therefore I am very “picky” when it comes to service of all types. AND, you surpass my expectations with every email. Hi Don, enjoyed your weekend update and your great presentation as usual,you have the ability to get your point across with a little sense of humour and enthusiasm,I find you are the best presenter of trading information I have heard. I have been following you for the last 2 months. And I can say that I have learned quite a lot. This is really good what you are doing and keep it that way.I did not see such a good site as Theo Trade in many years. You guys do a great job. I’ve learned a lot and I’m sure your other subscribers have also. Thanks for your instruction. Learning a lot. I believe I have found a new mentor. Thanks again TheoTrade and your team!!! You guys are knocking yourselves out to give great value for dollars spent, especially when compared to what else is out there! I will highly recommend you! I love your teaching style. You always make me laugh and I learn so much from each of your videos! I really appreciate all you do for us. Love your coaching sessions! Charter member and still got a ton out of today's class. Thanks to you, Jeff B, Doc and Slim for your fantastic teaching and information. Love the market insights from Theotrade. Thanks Jeff and I would like you to know I feel Theotrade service is exceptional. Also would you let Don know I appreciate all the time it takes him to develop all the class and other videos. Just let me tell you this: You are great teacher of Options. You have opened my eyes to a different word of trading, have read so many books in the last 25 years in trading options, have traded options on agricultural futures, on BIG S&P 500 (when there was no e-mini, had to have a Satellite facing to Texas to get data), have read many, many books in option trading, but your course is phenomenal. from the bottom of my heart I thank you millions times. Please let me know what other courses you teach. Thanks!!! [for TheoVideo Report] Great job Doc -- And excellent information on your specific details at understanding the market condition -- as related to your trade strategies !!! [for TheoVideo Report] Five Star Performance Don -- Excellent info. on the Trade Variations related to the volatility possibilities of the specific products that many would take for granted they are all almost the same... Great NFLX Tip !!! Loving the classes. Great information. Life changing stuff for me. The archives of TheoTrade are a God Send. You can stop the tapes, reverse the tape, make notes and USE the information! Thanks Jeff! Thanks for the help. I have been following Don for years. The whole team at TheoTrade has been great. First off, I want to say how much I appreciate all you've done at TheoTrade. I've learned so much these past few months. I'd thought I was pretty much up to speed on concepts regarding volatility and spread trading, but you've opened my eyes to so much that I've actually had occasions where I've felt like a newbie again. My trading has taken on a whole new level since joining you in January. I was just watching the recent Options 201 Coaching Sessions via the archive and I really enjoyed them. Even after years of trading options I was learning something new and useful for me (the probability calculation you presented). Love TheoTrade. It's by far the best service out there, and I have had several thru out the years. I can not even remember how I stumbled upon your website but I am sure glad that I did! Finally, just to say that I’m really enjoying my experience with TheoTrade and that the content you and the team are presenting is “on the ball”. In particular, I find the ‘entry / exit criteria’ you provide for the strategies during the “Classes” very helpful - also, having a different perspective from Doc is also very insightful. Keep up the great work. Greg T: @Dennis I gave up with following any others after landing here and I concur. From TheoTrade ChatRoom: It's so Amazing what we LEARN when we LISTEN (Thanks! to my Ex-Wife for this quote)!!! Don is a Wonderful teacher!!! I have really enjoyed in LISTENING and LEARNING from him the last few months. I love how Don goes about explaining and showing how to go through the mechanics. Fantastic webinar!!! I thought what you did in the early 2000's were great and I learned so much, but that just scratched the surface of what I have learned since joining Theotrade a month ago. It is rounding out my options education, giving me an understanding of options I've never had, not just the mechanics of doing a trade, but understanding the whys and wherefores of them. Don--I've been to all your classes, and yesterday's was the best yet. The cliff notes were great! First let me say how impressed I am, with the way you treat your new members. I like the TOS tutorials. I've always been afraid to explore 'all dem buttons'. I can't believe how much I've learned from your site in my first week. I still really am amazed at your services and team! Fantastic job!! Since becoming a Total Theo Member, I have watched the Options 101 & 201 as well as the In-Out Verticals classes. I can never THANK YOU enough for all the videos that you have done!!! Some days I feel like I will never get them all watched, but I am working on it. I feel like I am starting to understand options some now, but definitely want to learn all I can from you!!! to try this out myself. Using these in/out spreads on momentum trades is very helpful because I have such a clearly defined profit target and I don't have to worry about the market noise as much. It also seems like I give up far less slippage with this spread than I would if I bought calls/puts. TheoTrade is a rare service in this industry and offers tremendous value. It's been an amazing past 6 months, so keep up the great work!! I've tried every other service out there. All of the big names and TheoTrade is by far and away the best options trading website out there. I've been blown away. Congratulations on building such a fantastic website and resource for options traders. Great presentation Don!! Thanks loads!! An excellent service and I appreciate the professionalism. Far and away the best I've encountered. I am very grateful for TheoTrade, and extremely happy to know that there are unselfish people willing to share and help. God bless you! Best wishes! Don of course is the driving force, a wealth of knowledge and information. So glad he's doing what he's doing. He's adding a lot to the world of online trading education. The class today on expected move was worth weight in gold. Please tell him I said so. All the best to you in your position over there. I just wanted to say "THANK YOU" for providing such excellent insight and education. After five or six years of consistently losing money, I've been able to vastly improve my trading and overall enjoyment of market participation. It's not easy taking the "long cut" but I'm finding peace, patience and even a little prosperity. I enjoy the diversity of trading styles, the respect you give one another and the sense of humor that is so much a part of TheoTrade. Thanks to your coaching I've been to develop my own style, which, as you know, is the only way this seems to work. I hope you enjoy turning newbies and anyone who's been struggling into professional traders. It is great fun on this side. Such a mountain of information for the weekend. Just want you to know that I really appreciate how concise you are at breaking down the market. Thanks for all you do. Don thanks right here for your enthusiasm and commitment to help us. serious. I commend you and your team on what you have built and your communication with your membership. This along with the 5AM Consolidate Report have been nice editions to your service! The concept behind TheoTrade is what lured me in to take a look. The strategy that you developed is solid and your execution has been stellar. I find the experience interesting, enjoyable, challenging, and intellectually stimulating. You and your team are truly creating something very different. Your sessions this week on “What we look at and why” is yet another example of great work by TheoTrade. Please keep it up! Very nice picks on the last several trade ideas. They've paid for my subscription many times over. You were --One and/or Only--of the Very Few to Who had the Nerve to make these kind of Solid Statements And Quotes about The Presidential Election. And You Were Definitely Right on Target! I've been a member of TheoTrade from its inception -- and I absolutely love it. Hi Tony - Thanks for your guidance day in and day out... it's really helped me considerably to keep my head cool and starting regularly booking days. Fantastic service. I became self directed with my trading through the education I got here. TheoTrade, you guys are doing a GREAT job. Have sent all my trading friends over to check you out and will continue to do so. Thanks. Wow! Awesome! Another reason why you are the best. Not just that you have the most reasoned and real commentary that in hind-site still looks great... And great lessons and tools. Excellent, I have learned so much in the past few weeks from your presentations. When on Swim Lessons so much was covered on different topics everyday and there were always 3-4 people trying to talk it was difficult to stay focused. Now it's almost like going one on one with you and a lot of what you are discussing is starting to sink in. Thank you!! Your options training has helped me immensely, as my goal is to trade options full time. As a former visiting professor at 2 universities, your teaching style rocks. Thank you for an excellent Butterfly class! I wanted you to know how much I appreciate the time and effort you, and the rest of our TT team, put in to the training! I continue to be amazed at the quality of education you all put out! I enjoyed very much the class and the bonuses. I love the way you explain things and you were also right when you explain that even experienced traders can find some new insights in the 101,201 and 301 class. This Butterfly trade seems to match my personality (meaning my personal risk tolerance). Excellent Presentation Professor Bierman.Thanks. [Technical Analysis 101]. I have found your "Reports" both informative, aware(!) and just a pleasure to read. These are the types of readings that I believe should be daily requirements for undergrads. They would clearly learn something.Thank you! You are changing people's lives for the better! [for Don - TheoVideo Report] I enjoy your work. Thank you. Last October I signed for the 3 month TheoTrade package. Yours wasn't the first I have joined but TheoTrade is the first I've learned enough so far to consistently realize increased value instead of the losses experienced previously from random trading based on gut feeling. Like you I have a negative Delta compared to the SPY but, like today, have had consistently profitable intra-day scalping trades and duration equity and option trades (I am NOT a futures trader) utilizing your insight along with Doc's, Jeff's and Slim's more technical approaches. The best part I like is the broad view given by all the coaches - TheoTrade's string point I am recommending to others. My 3 month subscription is up January 17th. The subscription more than paid for itself and I would like to sign up for the next year! I'm glad that I joined for the entire year. I'm learning a lot! You guys are doing a tremendous job! Keep it up! Just wanted to drop a quick note to you. I was over at the previous place you were at and got fed up with the non stop sales pitches for classes and indicators above and beyond the membership. Not to mention no method to the madness there which causes much confusion to most traders. I appreciate how you have everything set up here at Theo and look forward to the years to come. I’ve been going through the “Sell Premium & Manage Risk” class. This is my second time through and I feel like it’s the “missing link” in my trading. Love, love, love it!! Super job. Loving TheoTrade!!! information that I barely have time to trade any more! Don, I have watched several of you tutorial videos, and wished I had seen them sooner. You guys really doing good job @ Theo Trade to simplifying Trading business. Thank you so much for your help. I especially like that you are not charging for every little thing and that you are constantly assessing risk. Trading has been difficult and the losses costly for several years now. You and Doc are a breath of fresh air with strategies where the risk- reward is good. The site has been great. Your quantitative approach plus Doc's strategy has been helpful. Just signed up for another year! I have seen, or watched on the archive, virtually every video that has been posted. I have learned more in the last 5 months than all the other groups and seminars that I have attended in the past 10 years. You have a great mix and diversity of teachers which really appeals to me personally. I have been creating a trading strategy using pieces of everyone's expertise. I must say that you do a fantastic job with everything on your site. You go into more detail and point out more nuances of trading. I am now tasked with trying to catch up with everything on your site. Thank you for another great class. I've learned more from you and your staff since you started your site than I have since I started trading options a few years ago. I've followed various gurus, bought/attended various webinars and subscribed to a number of sites in the past few years. Your site and especially your insights and excellent instruction are the best that I've encountered so far. Don: I just want to express my feeling as a new member to Theo Trade. Your class on Saturday was one of the best classes I have ever attended. Well planned and executed. Your detailed the heart of the trading strategy some everyone could understand. Very well done. So far my experience with Theo Trade has been good. BTW - you guys are rocking it! Very impressed. It's really refreshing to have you guys putting this together and sharing knowledge and not up selling everything and turning and burning your customer base. You've got a customer for life in me because of this approach - and I'm sure I'm not the only one! I am so grateful that I found TheoTrade. What I have been learning from you, from trading strategies to the psychology of trading to position siziing to analysis to how the market really works, has been invaluable. Since 6/1, my in/out spread trades have brought me a 15% profit. That’s only a profit of $918 but it’s also only 1 contract for 95% of them. I’ve only recently increased the number of contracts I’m trading but still staying within my risk tolerance so my emotions aren’t causing me to do things that kill my profitability. To go from consistently losing on my trades to consistently winning? Wow, it doesn’t get any better than that! I can say when I became a member with Theo trade and applied the knowledge I learned from them that's when I started having profits. I'm a retired 30 year broker from Smith Barney. They never taught us anything like what I get at TheoTrade, nor was the platform anywhere's close to TOS. I'm learning more every day. Thanks for your teaching sessions. They are so valuable. My TOS platform reports that even with just approx 1/3 of my total accounts positioned, I'm up, today alone, $3,390. I can't say I've EVER had a 34 hundred dollar day in my 20 years of market experience. Glad I found you guys, for sure. My wife said not to let this go to my head so I pledge to remain grounded. I could not have done this without help, tho...I know that. Just to re-iterate what a fabulous job the Theo Trade team is doing with regards to educating its members. I’ve been with you from “Day 1” and feel that I continue to learn something new every week. I joined the service not too long ago, and I am loving it! Thank you for the 2153, 2143, 2129 and 2112 trend lines! Amazing how they have been right on! Also, I have been a ToS "light" user for about ten years and never really got into it too deeply until now with your online lessons, like using the Analyze tab! Thank you, again! I really enjoy and find good value with Theotrade. Classes are well taught and informative. Using the in/out strategy, last week I locked in $1275 in some HAL put spreads and today, I locked in profits of $1240 on several positions, one suggested by Doc and some I identified. I've been averaging 7% a month for the last 4.5 months, profits of over $11,000, and never had more than 25% of my account at risk, usually much less. I'm finding the in-out debit spread to be reliably profitable and I like using statistically overbought or oversold with standard deviation channels on the TOS charts to pick trade inception points. It's amazingly accurate especially if market direction is honored. Thanks for your good analysis and a super product TheoTrade provides its subcribers. Thank you very much. Also, the workshop today was great. I look forward to getting up and running. I have some house rules to take care of, Doc gave great advise and things to take care of before one should start trading. This is advise you do not get from other, such as money management rules to adhere to. I will be videod out the rest of this weekend. Thanks again. Thanks heaps. Your explanation is very clear. you guys have been an incredible inspiration to me and i can’t thank you enough for the endless stream of expertise, wisdom and knowledge you have given me and the members at theotrade so far… i traded alone for a year and lost, lost lost and lost…… the community that is building here is priceless and I think its important to share my enthusiasm with you guys — at least for this wanna be trader — you ARE making a difference. I have the ability to at least listen to the daily broadcasts while working my day job, and i am aspiring to go out on my own…. some day. Just wanted to let you know that your website is fantastic. It's definitely the best options website. Keep up the good work. Had a wonderful phone call with Stacie an hour ago. You don't know how much I appreciate good customer service in today's world. Thanks much. Don, I would like to take a moment to say how much I appreciate your insights and market understanding. For those of you who are not members of TheoTrade I highly recommend spending the $1000 it costs for a yearly membership and you get all the back seminars and future ones coming up...I have been a member little over two months and have learned a ton of stuff and have made my $ back at least ten times over already...just a TON of info on this Theotrade site. I am a converted [another company] client and am canceling [that] subscription as we speak...no comparison to your guys. On the night I signed up with you.....I remember your very bold claim to cancel everyone one else out.....and it took me a few months...but here it is happening. Doc, Jeff, Slim , you.......all awesome....keep up the great work. I would like to thank you for your GREAT Coaching session on 1Dec2016, "Jeff Gone Wild" video. I learned a lot from this session and I plan to REVIEW it every day until it all sinks in into my LONG TERM memory. Your explanation was clear and your enthusiasm is refreshing (Great). I have also reviewed your other sessions and daily chat room and it is rewarding to learn from a very generous teacher that is willing to teach others. I am an engineer that has an open mind and enjoying watching and learning from all of TheoTrade presenters. Again, thanks Jeff for sharing your knowledge and experiences with us. I have recently joined TheoTrade and so far am very impressed by the depth of the content in the archives and enjoy the real-time chat room sessions. I have made a good portion of my annual TheoTrade fee back already based in a few simple short-term day trade suggestions from Don (long intraday ITM puts on BAC and FB). So I am very happy! Don, GREAT CLASS!! Thanks so much. Looking for replay to go over the [Butterfly class] material. I have been a member since day 1. Best education ever, and I've been around. Thanks TheoTrade I'm up 4000.00 this week. Thanks Very Very Much Jeff --- Totally incredible Webinar [Technical Analysis 101]--- Extremely Well Done! Jeff - This was an exceptional class. [Technical Analysis 101}. Been a member for a month and working through the plethora of archives. This one should be part of the "suggested"reading list for TheoTrade. [for Stacie]: Really good links, especially youtube one by Doc. Pretty amazingly comprehensive what you guys have built/designed. Wish it was around when I was trying to get educated on this stuff. Looking forward to my son being in good hands for his intro to this world. Call you or Jeff in a few minutes so we can set this up. Just wanted to thank you for doing what you are doing with Theo Trade. I've been with TOS for a while. Its great to learn from those that are more experienced. KEEP UP THE GOOD WORK! Thanks again! Loving the service, chat rooms, training and support!! Your site is phenomenal, and amazing, a lot to learn! A real legitimate program! The material is phenomenal. I've been trading/involved in futures for quite a while now, and I loved your futures 101 class and listening to the history. Keep up the good work! Definitely hands down the best trading room out there. I've learned so much in the past year from you, Doc, Jeff, Tony and team even after being involved in the markets for the past 12 years. I hope to continue learning, refining my trading plan and setting distinct goals over the next 12 months. Again, keep up the great work. I know a lot of effort goes into putting this together. By the way, I’m a new member of TheoTrade and I find it incredibly useful. Keep it up! Your presentations seem to add a few twists to what I’ve seen [elsewhere] and this is very useful. Another thing I like about TheoTrade is that you record all of what you present. Please keep recording all of your complete presentations. Just a word of appreciation and thanks. I am a member of Theotrade. Thankfully you are experts with thinkorswim and teach everything using it, since I have been with it since before TDAmeritrade took over. I have been trading for years and have spent a lot of money on courses, many of which did not enhance my bottom line at all and all were too expensive. 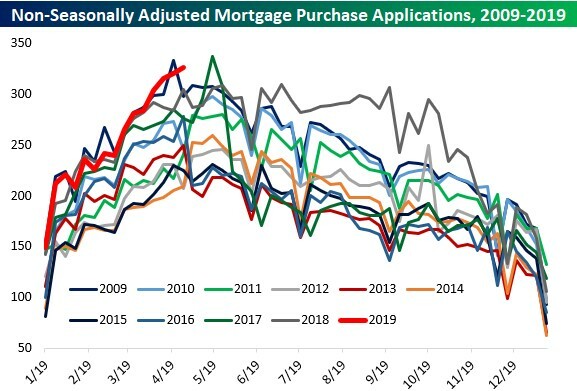 The indicator sales prices are gigantic out there. Your courses and daily briefings are consistently good, helpful and are adding to my bottom line. Your indicators are free! 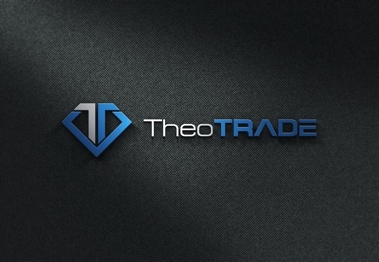 Belonging to Theotrade is the most cost-effective package I have ever experienced in trading services. I wish you had opened up years ago. Keep it up! I am new to TheoTrade. I want to let you know that I am very pleased with TheoTrade and how much I appreciate your efforts to help "Johnnies" like me. After taking a number of classes at (another company) I find the cost/benefit to be low. I find myself being drawn to your mathematical way of looking at the market. I look forward to availing myself of this great learning opportunity. We’ve been listening to Theotrade since day 1. We’ve learned a lot, including a lot about some things that we should not be doing with respect to trade size and capital allocation, risk, etc. My wife and I are a couple of the Tucson folks that you’ve been corresponding with Dale Dillon Lips about recently. We had a trade that needed to be rolled this week—APR2 2040 call spreads out to Apr4. Yes, I know now that we are a bit outside of the trade window. It’s also a larger number of contracts than we now know we ought to be trading and to roll yesterday would have been quite expensive. So we decided to wait until this morning—can’t even see the trade window from here. When the market opened down, I did some one contract closing orders to test the actual price. It was 50 cents. To be honest I was practically ready to go for it, and make some or all of it up selling matching puts. Yes, we are typically Iron Condor people. Was listening to your session (as was Dale by the way) and heard your commentary about the direction the market seemed to be taking. Based on that, and what Ive learned from you to watch in the market, such as bonds and the big techs, I decided to wait. Ultimately I bought the contracts back for 30 cents in stead of 50 cents. I figured I saved enough in premium to pay for my Theotrade membership for the next 6.25 years. Just thought you might want to know. And yes, as soon as we shake this one trade, we have a lot of amendments to make to our trading plan. I just wanted to write you a quick note to thank you for the tremendous job you are doing with TheoTrade. This is my seventh year of full time trading (the first 6 being very expensive in terms of market tuition), and I can say for the first time that I’m really having a good time (thanks to your sense of humor which I appreciate); and my improving understanding of markets, trading, and risk are finally starting to come together. Over six years ago I started learning options from a guy that I now see is very much a gambler. He employed the Martingale System with impunity. With my starting with good sized seven digit accounts, you can only imagine the trouble that I got myself into. I have some positions that I’m in pretty deep and it will take a lot of time, work, and some luck (go oil) to get out of. Not complaining because I know it will work out over time, and more importantly, these are things I will not do again, thanks to you. You can trust that I am in chat every day, and trying to take in everything that you discuss. We are finally really learning how to trade. We had taken "early outs" at the early age of 52. Then put IRA and retirement roll outs with a local Boulder,CO group called AGILE. They did very well for a while by moving in and out of mutal funds. When that got difficult they altered strategy to invest in "50 different " hedge funds and manage those. Well two of those were oversize positions and those two put funds into MADOFF's funds. Well when the market went down in 2008 the major scam became know. Since we were "indirect" investors, the New York lawyers said the clawbacks and distributions did not apply to us. Some other lawsuits and distributions since then have resulted in about 25% of our initial one mil. As a result we have made the firm commitment to do much more on our own. We have tried various ways of learning to trade options since we could do more with less capital. Most efforts have led to small losses until you invited us to THEO TRADE. We were very excited with Don's methods then got even more excited to learn from Jeff, Tony and Doc. WOW what a group of excellent instructors. The 101 five parts series (done four) were very informative and have elevated my understanding of options. As a compliment to Don, the series I have finished, for the first time clarified so much which were confusing, and esoteric. His real time TOS examples were the first I have experienced. This is so vital, and he nailed the rationale. I have read many books, both digital and print, none were so methodical, and detailed, to the point, I felt I was in elementary school being led by the hand to the demystifying the world of options! I have two more videos to finish, but wanted to convey my excitement in coming to terms much better after Dons part by part dissection of sometimes hard to grasp terminology and concepts. While I work full-time at a daytime job, I try to keep the Theotrade up so I can listen in when I can and trade when I can. That said, I have truly enjoyed everything that I have learned thus far from each of the Theotrade team and I look forward to learning even more. Hopefully, someday I'll contain the knowledge and confidence to do this full-time as the only job that I'll ever need! Thanks for all and please pass on a great job and thanks from me!! I’ve been subscribed to TheoTrade for a little while now and just wanted to leave some feedback. I love everything about it so far. I have tried other services and TheoTrade is better in every way. I love the fact that I can pause and rewind the chat window. The education is great and the fact that it’s all included in the monthly price is awesome. That will keep me a subscriber for a long time to come. Doc has been a great addition. I would like to tell you that I am really enjoying trading your system. Also, I think that you constantly every day you discuss your system ONLY reinforces your trading style, and I hope that you repeat it every day. It is a reminder because we get caught into bad habits and as humans it is hard to change, is the reason that I enjoy everyday you discuss your system, thanks. Like you, I have been searching for the holy grail in trading, and was searching for a fast pace intraday trading and I have at last found it in your system. Any trader that wants to be considered a day trader will embrace your system since it works. I enjoyed Don's style of trading because he is a QUANT (ps. I am an engineer) that I could relate to. When Don started TheoTrade, I was looking forward to learning from a great Quant trader. I have been involved with Don's programs since he started and always look forward to Don's humor and teachings. Don had the vision like all other visionaries to incorporate other GURUS like ( especially TONY) to his business. Tony's system is so simple that it took me a while to appreciate and trade it. Learning something new takes time and study. I went into the archives to review Tony's daily chat room presentation. Like all engineers, at first I was making it more complicated then it was. After a while, I would only trade 1 NQ contract to get the feel for the trading system. I was not looking for making money but to comprehend and understand the system. Even though my risk is around $1,000.00, trading a $300,000.00 account, I was not interested in the profits, but only concentrating in understanding and comprehending Tony's methodology. I use TOS and Tradesation as my trading platforms, but only use TOS for data and trade only in Tradestation. I have been using trade station for many years and feel very comfortable trading in Tradestation. I use 3 computer and 4 monitors. I use my MacBook Pro to watch TheoTrade chat room. I use a very fast computer (w/300 MB download) to watch Tony's 2-minute charts. And lastly, I use my fast laptop with an additional 19-inch monitor PC laptop to watch and trade the NQ futures. Since I can program in Tradestation and TOS, I had almost every indicator that you can think of. Like you say that having too much information is paralysis analysis. Until I was able to comprehend your methodology of trading futures, I am convinced that your methodology works great. Since I am retired, I will start trading whenever I wake up which is usually after the market has been opened for about 2 hours. I will turns on all of the computers and watch the Theotrade chat to find out what is being reported. I will analyze the charts to determine the condition as status of the market. Then, when the opportunity arises to the TONY's rules will I make a trade. I have increase my contract size to 2 contracts to trade. So far, the last 2 weeks I have SUCCESSFULLY had ALL winners and NO losses. Therefore, I am gratefully to Don's philosophy and expertise in trading. I look forward everyday to trade with TheoTrade and learn from all of the teachers. Thanks Tony and please DO NOT change your attitude and trading style. If it was up to me, I wish that I could listen to you all day. Please feel free to show the message with the GURU Don Kaufman. When Don sent out initial emails regarding TheoTrade, I wrote back asking that Futures trading be an item in his new venture. I have only sent you one email before as support for your efforts, as well as expressing my hope that you would continue at TheoTrade for a long time. Your presentations have gone from strength to strength and your assistance to all your followers is welcome, constructive and most importantly, offers encouragement to those attempting the vagaries of NQ. I again express my hopes that you are not planning on going anywhere soon. In regard to my own trading I have been a eager participant from the beginning of your sessions and continue to gain perspective and develop my skills. I have taken some serious draw downs and like wise experienced the euphoria of trades soaring to the heavens. I eventually paid off my house as a result of the process which is a feat I never deemed possible. Nothing mentioned above is intended to express my individual success but rather to provide an indication to you as to the meaningful contribution that you make on a daily basis contributing to developing our trading abilities. I used the skills developed at TheoTrade to work the volatility on Election night to an extent I never dreamed to be possible. I assure you though that I am in the room everyday that I can be watching our beloved NQ and perusing your videos after hours when I miss out on the live session. I appreciate the “tough love” you purvey on occasions and the inputs on running the process as a business have been very beneficial. I cycled for a period in my life and really enjoy hearing about your activities and training as I know how hard one has to work at the game to be successful. All our members enjoy hearing about a person's life as it makes them real and they feel part of a family which I am sure is what Don desires at TheoTrade. I once again wish to express my thanks to you for your your efforts to share your system, your skills and most importantly the effort that you have made over the last 9 months to send many of us off in our own little boat into the big wide ocean. I appreciate the dangers out there everyday as I sit down at my computer to begin trading but you must know that I am so happy that I have a skill set outside of my professional life that I absolutely delight in developing and refining. I need to express my thanks to you to you for providing and sharing the insight. I wish you a very happy festive season and may all our TheoTrade members and Moderators enjoy continued success in the New Year. I just want to take a few moments to compliment you and the rest of the Theo Team on the great job you have all been doing. Although this is my seventh year of full time trading, I can tell you with certitude that I have learned more in the past 11 months than in the past couple of years. Election night was an incredible night for me. As you may remember, I did really well in my /NQ trading account with 3 short contracts. What I didn’t tell you was that I was also well hedged in several other accounts. In total I was short 7 /NQ contracts, and 4 /ES contracts, and covering these contracts made my whole month. And the truth is, without your guidance and education, I would have been unprepared for election night madness. And again Don, thanks for staying with us deep into the evening on election night, sharing your thoughts and market read. I know there were many other places you could have been that night. Don, you and the team have taught me the importance of beta weighing, the importance of looking carefully at the risk/reward in trades, and how to mitigate the risks. You have emphasized how important it is to look at the portfolio and decide if you can live with the risk, and do your positions represent how you really want to be positioned for market possibilities. You’ve taught and gone over myriad facets of options, spread trading and hedging. Watching you trade, and you explaining the construction and rationale in your portfolios has been invaluable. I have been on numerous “educational sites” over the past years, and none of them even comes close to the quality and the professionalism of TheoTrade. It is obvious to me, and I hope to others, that the people who make TheoTrade what it is care a great deal about doing their best and truly care about the welfare of its subscribers. To me, TheoTrade has become home, and the people there have become like family. And I would recommend it to anyone, family or friend. There is not a day that goes by that I can’t wait to sign into my TheoTrade account. Please continue to keep up the great work. Phil: I've learned more in the past few months with TheoTrade, than I have in the last few years on my own. Patrick: I put out the $1,000 2 weeks ago - the quality of info available is awesome..
Dr. Bruce: There is a WEALTH of information on the site and it's ever-growing. In fact, good luck keeping up with it all. I haven't been able too! Ian (Wags): I have followed Doc for a year or more and I can only say his training is the best. I did want to extend my real appreciation for your wonderful teaching. I have learned a great deal more from you about the actual mechanics of the market than any other teacher I have seen or heard in over 30 years of observing. You never talk nonsense or use codewords to conceal ignorance. You do seem to operate at a high pitch that would be unsustainable for most persons. In fact both you and Don get going and the pitch can reach soprano levels. It would be fun to hear you two argue, as you must at times. In any event I hope that I do have a chance to hear more of your teaching in the future.